As many of you know—who show up here on occasion—as the Founder/Publisher of 3DP Media, I focus exclusively on covering 3DP. With—I own up—a kind of messianic zeal. But, this stuff—this 3DP—IS important. And, we need to figure it out… Before 3DP gains a dark-side reputation—every disruptive tech whispers blow-back—for creating more problems than it solves. “3DP” is a mashup, a semi-acronym. 3DP—the new “word,” the neologism—combines all the most recent industry segment usages, presents a visual cue and rhymes when said. Most of the signifiers in this business are multi-syllabic and arduous phrases. 3-Dimensional Printing, Additive Manufacturing, Computer Numerical Control, Digital Fabrication. That’s why I’m sure “3DP” will be the natural linguistic evolution—the common street parlance—from the phrase “3D Printing.” This last is now the current “brand” for our industrial sector. BUT, usage will rebrand it 3DP. 3DP is also the 4th Disruptor! In order of timeline debut, these four landmarks of our Digital Age are: (1) PC; (2) Internet; (3) Social Media; (4) 3DP. Disruptors (1) thru (3) are Digital; 3DP is Neo-Analog! I’ve lectured before about our Disruptor Regimen; but it bears repeating. Because, our Fourth Disruptor promises to help re-industrialize and rejuvenate American manufacturing—by (among other make-over vectors) “new-shoring” it IN the United States. AND, that’s before we discuss the entirely novel uses of 3DP in wide-spectrum commerce. 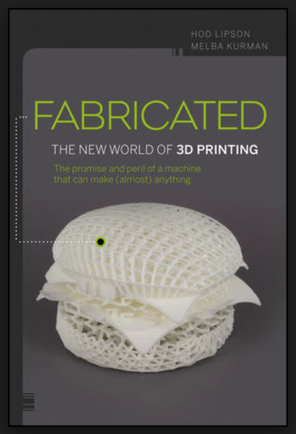 It is now possible—with a straight face—to say 3DP will change everything. In this time of high flux—in this moment of the Fourth Disruptor “launch”—the rules of many business segments are about to change. And, everyone’s business opportunities are writ as in quicksilver. Whether it’s for personal, fiscal or common-good gain. As are a number of other rules by which we live(d): think social, civic and commercial. OR, think all three at once: what some call Economic Development. So, how should any of us play—for profit and/or society’s benefit—the New World (Disrupted) Order of 3DP? Magic or advanced technology, 3DP certainly is—and will continue at an accelerating pace—creating change. And—contrary to the idea of the destruction of commercial disruption—we should consider 3DP change to be the most creativity-making opportunity in our time. Still—as with any empowering engine—this atom-manipulating genii from a digital bottle needs proactive management and intelligent guidance. By David Lang. 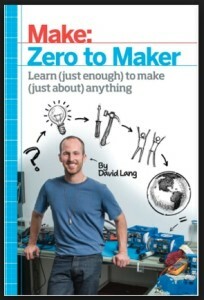 Want an insider look at the Maker Movement? This is the best overview—via personal, hands-on storytelling by a reporter/acolyte who made the Maker journey and celebrates why. I’m certainly not suggesting that we seek governmental, legal or regulatory protection from 3DP’s creative destruction. No, what we really need is 3DP propagated DIY/DIT (Do-It-Together) at the grassroots. Think: the Maker Ethos on steroids. Now, everyone (empowered by Moore’s Law and lapsing IP protections on early 3DP patents) can “do” this Industry on their kitchen table in their eCottage. Voila! eCottage Industry in the 21st Century. In the last four or five years, another powerful Bottom-Up Driver of this 3DP DemosTech has developed—mostly under the commercial, political and media-coverage radar. So, Makers have been among the first to figure out how to monetize 3DP. (At least at the local-community level; a few professional and industrial segments—automotive, aerospace—have been working 3Dp since it was invented 30 years ago.) Maker interest, curiosity and necessity (i.e., lack of capitalistic resources) begat hands-on learning begat hobbies begat playful RD&D begat innovations begat products begat startups—via DIY/DIT and iterations…lots of iterations. Something 3DP does very well. Now, if 3DP is to accomplish all that I’m talking about here—and we haven’t even touched on the common-good aspects like job generation—we need to get deeper into the “how-to” of this disruption-making/opportunity-presenting phenomenon. How are the new MakerBots-to-be leveraging 3DP? And, how can we propagate these success-techniques across every appropriate industry and business in America?! With this post, I’m beginning an examination of these aspects of the “how-to” so necessary to the advance—and empowerment—of 3DP. This entry was posted in Email, HOME, How-Tos, NY3DPWeek, Views. Bookmark the permalink.